The lighthouse has always signaled a safe harbor—for mariners who look to its radiance to help navigate treacherous seas, and for those finding metaphorical shelter in its warm cast. It’s in this spirit that Lincoln-based Lighthouse Counseling and Family Resource Center operates, providing complimentary counseling services and resources to help Placer County residents chart a safer course. It’s a realization Lighthouse cultivates through tireless advocacy. Though its mission is not a new idea, its holistic approach—one that addresses physical and mental health, as well as family dynamics, with the intent to buoy those receiving services to play a more positive, contributive role in the community—is. As progressive as this ethos has proved, Lighthouse itself started out as little more than a seed. A group of community leaders formed the organization in 1996, after noticing that some children were not performing well academically—not due to inability, but to fractious and impoverished home environments. It would go on to earn non-profit status in 2005, and today serves approximately 3,000 Placer County residents annually—at no cost to beneficiaries, who because of the nonprofit’s benevolent backing, have improved their quality of life. 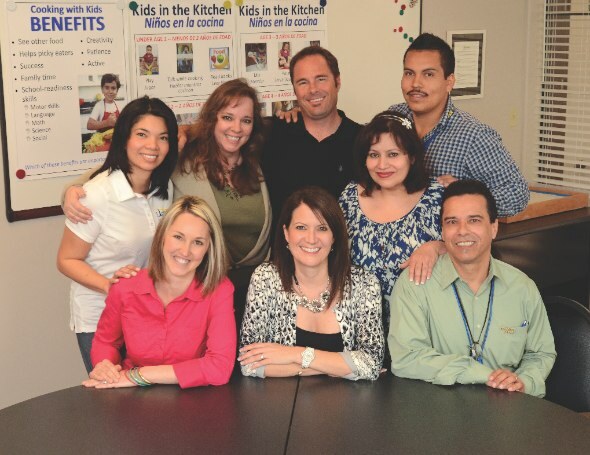 “We strive to be a one-stop shop,” says Executive Director Angela Ponivas. “Many Lighthouse services—which in addition to counseling include employment assistance, wellness classes, women’s support groups, coping skills groups, and parenting and nutrition classes—are offered by no other nonprofit in Placer County.” Lighthouse also acts as an official diaper bank and offers free counseling at every school site within the Western Placer Unified School District. It boasts 110 community partners and works to boost health insurance enrollments and CalFresh program signups, while also hosting the Placer County Women Infant and Children program and a public health clinic at its offices. Success stories like these are particularly impressive given that Lighthouse operates in the critically underfunded mental health field. And yet, despite funding shortfalls and high demand, Lighthouse remains a beacon, earning “Best Non-Profit 2012” honors from the Lincoln Area Chamber of Commerce and recognition as “Best in Collaboration on a Long-Standing Basis” by the Placer Collaborative Network in 2012. For more information, including details about the nonprofit’s annual fundraiser, the Celebrity Waiter Luncheon (slated for May 10 at the Catta Verdera Country Club in Lincoln), visit lighthousefrc.com.